These papers were donated to the University of Pennsylvania Archives and Records Center by Frank Hadden, the grandson of Samuel Bernard Hadden, March 20, 1991. The papers of Samuel Bernard Hadden are arranged in four series. They include personal papers, professional papers, photoprints, books, sound discs, and diplomas/certificates. The professional series is further divided into the following subseries: correspondence, neurological, neuro-psychological, psychological — mental health, and miscellaneous papers. Samuel Bernard Hadden was born in Dunmore, Pennsylvania in 1900. He was educated in the Dunmore public school system and graduated from high school in 1918. 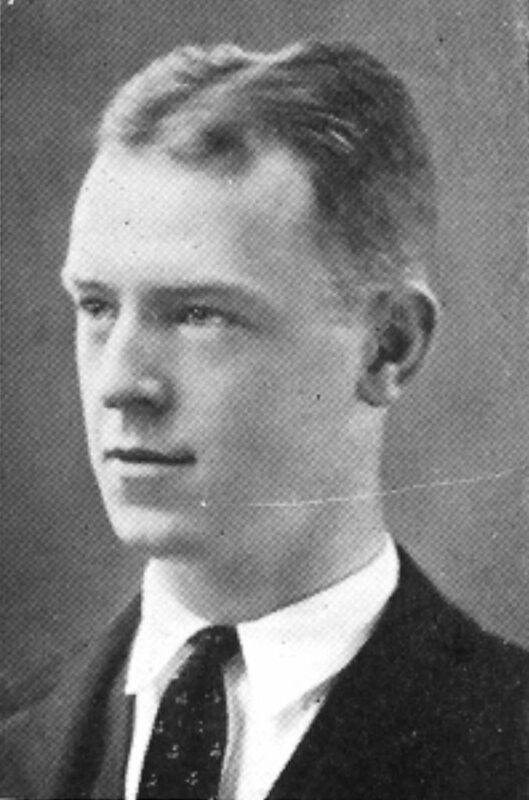 He attended the University of Pennsylvania and received an A.B., 1922 and M.D., 1924. He served his internship and residency with the Philadelphia General Hospital. Dr. Hadden served in several teaching capacities from 1926 to 1941 at the University of Pennsylvania School of Medicine, Department of Neurology. In 1941 he was appointed Associate Professor, 1941-1947. Early in his career Samuel Hadden’s main interest was neurology. Gradually he became more interested in the neuro-psychology. By 1953 his professional attention turned almost exclusively to mental health. Hadden is best known as a pioneer in group psychotherapy. His interest in group psychotherapy developed as a student working the summer months of 1923 at the White Haven Free Hospital for the Treatment of Poor Consumptives of Philadelphia. His mentors, Dr. Joseph Walsh and Dr. H.R.M. Landis, were students of Dr. Joseph Pratt, who was the first to employ the technique for the treatment of tuberculosis patients. By 1928 Hadden had joined the American Group Psychotherapy Associates. He began using group psychotherapy actively in 1937 when in charge of the combined neurological and psychiatric out patient department at Presbyterian Hospital. During World War II and the Korean War, Hadden served as consultant to the Army Surgeon General. He wrote extensively on the topic of post-military adjustment and therapy. In 1949 Hadden joined with other colleagues to argue that alcoholics be treated as sick individuals rather than morally depraved misfits. He played an active role on the Addiction Committee of the Philadelphia County Medical Society until 1987. Hadden also became an advocate for the parental guidance in child development, lecturing extensively and heading the Presbyterian Hospital Parent Guidance Institute. Believing that healthy interaction between child and parent, in addition to rough and tumble play, contributed significantly to mentally healthy adults, Hadden spent much of his career pursuing this point in his work with male homosexuals. For Hadden, homosexuality was an “experientially determined and treatable condition.” His greatest professional interest being group psychotherapy, Hadden was the first psychiatrist to use this method of treatment with exclusive male homosexual groups. Although compassionate in his approach, his professional and personal outlook remained consistent even after homosexuality was taken off the DSMIII list of diseases. Although his views on homosexuality are controversial at best, Hadden was highly respected in his field for his contribution to the development of group psychotherapy. Hadden served as president of: the American Group Psychotherapy Association, 1949-1950; the International Association for Group Psychotherapy, 1973; the Delaware Valley Group Psychotherapy Society; the Philadelphia Psychiatric Society; and the Philadelphia County Medical Society. In 1971 he received the Strittmatter Award from the Philadelphia County Medical Society. For a brief period of time Samuel Hadden owned and operated the Medical Dental Educational Recording Company, located on Schoolhouse Lane in Philadelphia. The company produced phonographic recordings primarily on medical topics. The business did not meet with success and produced only a few sound discs. Dr. Hadden was married on October 18, 1924 to Alice O’Horo. They had three children: Samuel B. III, Michael A., and Alice Marie. The Samuel Bernard Hadden Papers, 1918-1988, n.d. mainly document the professional contributions of Dr. Hadden in the field of Psychiatry, and in particular group psychotherapy. There is a small group of personal papers but these papers generally refer to his education and preparation for his profession. The professional papers concentrate on Hadden’s efforts and dedication to the principles of group psychotherapy. The correspondence, 1945-1988, n.d. is mainly concerned with his publication and research efforts. There are early papers devoted to his interests in neurology. Topics include: tryparsamine in the treatment of general paralysis, bismuth arsphenamine in the treatment of tabes dorsalis, parkinsonism, neuritis and multiple neuritis for rowing serum therapy, hemophilia, cadium poisoning, poliomyelitis vaccination, and psychosomatic illness. Although there is some material on post-military therapy dating from his work during World War II, Hadden’s recommendations on treating post-military trauma is best seen from his papers dating from his service during the Korean War. The bulk of the collection illustrates his interest in group psychotherapy and may be seen in papers devoted specifically to this topic, 1942-1981, n.d. as well as in his papers on: addiction, 1950-1987; child development, 1949-1983, n.d.; and homosexuality, 1955-1981, n.d.
Photographs from his college days to his reunion give a fair look at friends and colleagues. There are twelve phonographic records produced by his Medical Dental Educational Recording Company devoted to various medical topics. Oversized certificates and a few books finish out the collection. “Objective Symptoms of Spinal Cord Involvement in Pernicious Anemia Removed by Treatment,” n.d.
“Congratulations-I hear you’re Pregnant,” n.d.
“Major Forerunners of Group Practice,” n.d.
Group Psychotherapy Treatment for Homosexuals, n.d.
“The Homosexual and the Armed Services,” n.d.
“The Homosexual in Education,” n.d.
“The Problem with Being Homosexual,” n.d.
“Rehabilitation of Sexual Delinquents,” n.d.